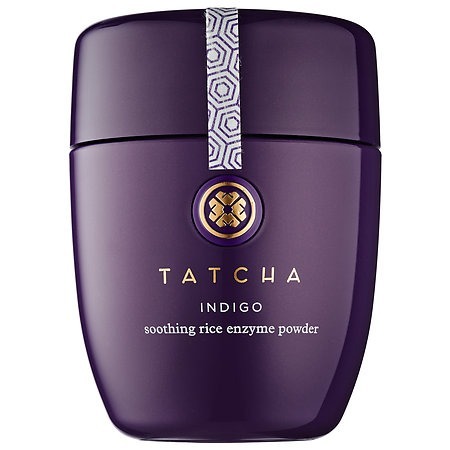 A creamy, water-activated enzyme powder that effortlessly releases debris from the skin, leaving it polished and baby soft in an instant.Indigo Soothing Rice Enzyme Powder exfoliates very gently without harsh abrasives for baby-soft skin, and functions as a two-in-one cleanser for those not wearing makeup. Japanese indigo—long used in Chinese medicine to treat redness and pain—is powerful in anti-inflammatory botanicals extracted from indigo plants, which work to soothe and calm sensitive skin. Hadasei-3 bioactive complex is a proprietary antioxidant, antiaging complex of green tea, Okinawa red algae, and Japanese rice bran extracts and colloidal oatmeal is naturally rich in beta glucans and polysaccharides to reduce skin redness and support natural collagen. Begin with wet hands and a wet face. Pour about half a teaspoon into hands, add water, and rub hands together to create a creamy foam. Massage gently onto a wet face in circular motions for 10 to 20 seconds, avoiding eyes. Rinse and revel in your soft, smooth skin.